How Often Should You Make Your JCPenney Credit Card Payments? Your JCPenney credit card makes it easy to make purchases at the store or online, and you’ll sometimes get special discounts when you use your card. As with all cards, though, you eventually have to pay the piper. Fortunately, making your payments is relatively simple and you can find a time frame that works best for you. If you have enough money to pay the entire balance of your JCPenney bill at once, it’s smart to do so. When you don’t carry a balance from month to month, you don’t have to pay interest on the money that you owe, saving you hundreds or thousands of dollars in the long run. JCPenney makes it easy for you to make a payment, allowing you to do this through the mail with a check, online by credit card or by making the payment directly in one of their stores. JCPenney will send you a bill each month, and you’ll find the due date on the bill. This is the day by which you should pay your bill. When you pay at least the minimum balance every month, you won’t incur hefty late fines. The company will also report your good behavior to the credit bureaus, which means that you’ll improve your credit score by making these on-time payments. Making monthly payments allows you to pay off your purchases slowly over time, so it’s a great option for those in a financial pinch. If the balance on your JCPenney card is zero and you know that you haven’t shopped there, you don’t need to make any payments. 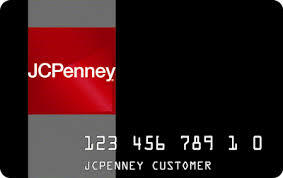 JCPenney does not charge an annual fee on its credit cards, so you don’t have to worry about a surprise fee. If you do have a balance on your card, it’s not wise to pay less than once a month. You’ll pay a late fee and it will have a negative effect on your credit rating. There are certain cases when you may want to pay your bill more than once a month. For example, if you’re watching your finances and trying to budget very carefully, you know that it’s smarter to pay with cash than it is to use a credit card. However, sometimes, JCPenney will offer incentives for using their card and you want to take advantage of the discount. In this case, you might want to make the purchase with your JCPenney credit card, then turn around and make the payment a day or two later. This is almost the same as paying cash for the purchase. Another time you might want to make multiple payments in a month is when you’re working hard to pay off debt and want to make sure that you’re contributing every little bit of extra money towards that debt. In this case, you might want to make a payment every time you get paid, or when you have even an extra $20 that you can put toward the bill. Every little bit counts when you’re paying down debt and making sure that you use your money toward the credit card bill means that you won’t spend it on something more frivolous. It’s important to work toward being out of debt, and part of that is deciding which of your credit cards should take precedence. If your JCPenney card has a high interest rate compared with your other cards, or if the card has a relatively low balance, it’s probably smart to pay off as much of the JCPenney card as you can. Otherwise, you may want to make minimum monthly payments on this card and focus on the others. How often you pay your JCPenney card is really up to you, but it’s important to always make the monthly minimum payments on time.